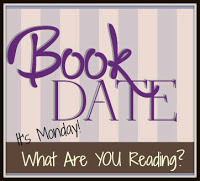 This entry was posted in Blog Hops, Book recommendations and tagged Alli Worthington, Awww Mondays, Book Date, Booklook Bloggers, It's Monday! What Are You Reading?, KaTwo, The Year of Living Happy by pilch92. Bookmark the permalink. That does sound like a nice gift. Practical for all of life! And uplifting. Sounds like a good read for we ladies! Thanks for sharing. This sounds like something my mother would enjoy. I will check into this one for sure. Thank you for stopping by yesterday. Don’t worry about not having mewsic to share today. There’s only so much we can do. I hope you have a blessed Thanksgiving and I’m so thankful to call you my friend. Have a good week! That sounds like a good book and we know many busy women will like it a lot. I agree about the misspelling. Wonderful book and awesome kitty to promote it! I have never heard of Alli Worthington, but I’m thinking I should familiarize myself with her works. It sounds like she has a lot of profound and useful tips on living a happy life, and that’s wonderful. Thank you for sharing this with us! KaTwo is a purrfect book model. The book sounds like a good read for those women you never do for themselves. We tend to do that when we’re raising a family. Thank you. 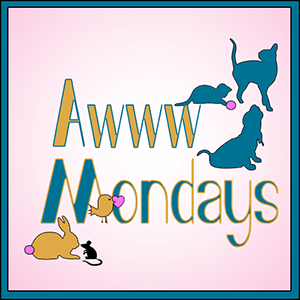 We hope you have a great week too! Alli Worthington is new to me too. Come see my week here. Happy reading! Glad I am not the only one that didn’t know about her. This sounds like a wonderful book! Our mom had never heard of Alli either! Now she wants to read her books. KaTwo is the purrfect book model. I love books that remind us of good behavior, can’t get enough reminders of that! Thanks for the review, I’ll look into this one. Sounds good! I think proofreading is a lost art. Books like the happy living book are always nice to have to help us reflect and check up on ourselves. Ka Two is doing a good job of modelling the book. I agree with you about the typo and it really annoys me. Newspapers seem to get far too many lately too. Yes, I still prefer a proper newspaper to reading online. What a happy gift that would be, truly! I agree with you a spelling error would drive me crazy too!! Sounds like a lovely book! We like books like that. Angel received presents from the tooth fairy today and she’s very happy and grateful! Thank you so much! She’s even sharing with Isabella too! Good book review! I saw this one on your book list on Goodreads, and am pretty sure that I’ve added it to mine too! Sounds like a really nice book and one that would make a great gift. I agree with you on the typo. It isn’t a big deal, really, but I do expect better from a large publisher. Glad you like the book KaTwo. That looks like it would be a great gift. I haven’t heard of Alli Worthington either. But it sounds like a nice book. I’m surprised at the number of typos I find in “big” books, too.